At Your Service Events Planner LLC is an awards-winning weddings and events company, with offices in Chevy Chase MD and Alexandria VA. Weddings are something that all of us dream of as being romantic and so perfect. But of course when the time draws near and we have to actually plan our wedding, reality steps in and we realize that all is not as exciting as it seemed. Hiring At Your Service Events Planner LLC, who is an Accredited Wedding Planner, is just the answer for calming the anxiety that goes into wedding planning. But if you are still not convinced, let’s take a look at all the things that we will do for you and save you anxiety. The first thing that automatically comes with planning a wedding reception is a lot of stress. 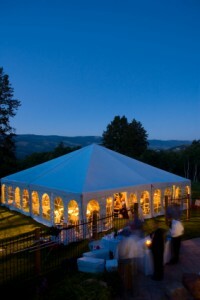 There are hundreds of details that go into planning the perfect wedding ceremony and reception. If you treat your wedding as one big project, this project is going to need a project manager who is going to be your wedding planner. Connie Amos-Parsons, owner of At Your Service Events Planner LLC, happens to be a former Project Manager PMP. We are going to help reduce the stress by doing what we do best, stress management. We will manage even the smallest details from the budget to all the different things that will require hiring, coordinating and contracting wedding vendors. We will do all the leg work for you, not only making you feel at ease but giving you ample time to take a break, pamper yourself and also give you time to spend with your family and friends. The wedding budget is obviously a very important part and needs to be done prior to everything else. 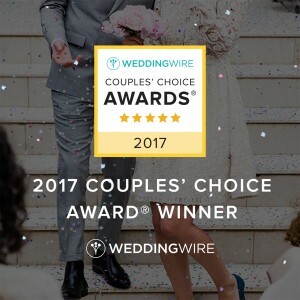 As novices in planning your wedding and event, you often wind up wasting precious time and resources by making the wrong choices, which we are well versed with and know how to get you the best deals from the best vendors. We will assure the services provided, by having contracts from reliable recommended vendors. Wedding vendors will often do favors for a planner that they do lots of business with, but would not be available to the couple. You do not need to worry that we will stifle your ideas. We will work in coordination with you and get your input and approval prior to making a decision. We are an added value and have resources that you will still be saving a lot of money. Often couples get fascinated by the latest trends that are just not practical. You can’t decide how to make your wedding ceremony and reception special and distinctive from others. We get it. We will help you achieve your ideas in a realistic way and also provide you with suggestions to shape your ideas into the unique wedding you dreamed of. With so many possibilities, couples can feel overwhelmed and often end up buying something they don’t plan because they have been pressured by friends or family. We will know who are the best in the business and guide you into buying just what is right for your wedding. Although it’s hard to believe, couples can get a lot of emails and calls by all the different vendors they have seen and visited at bridal shows. Also, wedding vendors you choose may ask you a lot of technical questions you may have no idea about. That is where we as your wedding coordinator will step in to assist you with clarifying contracts and advising you as a go-between. Do yourself a favor and consider contacting Connie at At Your Service Events Planner LLC today! You may be surprised at what is really possible for your dream nuptials for you and your fiance. At Your Service Events Planner LLC–we plan great weddings and events! One Comment on "Top 5 Reasons To Hire At Your Service Events Planner LLC"